item 1 Davines OI Conditioner, 8.8 fl.oz. -Davines OI Conditioner, 8.8 fl.oz. item 2 Davines OI Conditioner, 8.8 fl.oz. -Davines OI Conditioner, 8.8 fl.oz. item 3 Davines OI Conditioner, 8.8 fl.oz. 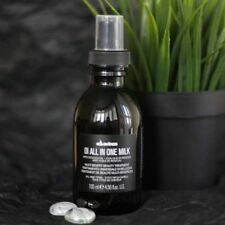 -Davines OI Conditioner, 8.8 fl.oz. item 7 Davines OI Conditioner, 8.8 fl.oz. -Davines OI Conditioner, 8.8 fl.oz. Davines Shampoo Travel Size 3.04 Fl.oz. 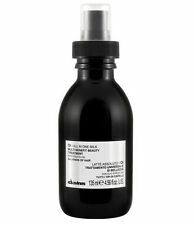 Davines The Renaissance Circle Mask for Hair 50 Ml. Recommended by hair dresser, gives good body, less expensive than at salon. Easy to use, no fuss no muss. Just sprays on. Light spray, not sticky, doesn't make hair stiff, just gives it gentle body. No strong smell (almost neutral). I blow dry using my hand and my hair feels good and doesn't slump. I have fine hair, and this does a great job of mitigating the fineness. This is my favorite conditioner, and I've tried many over the years. It leaves my hair slick feeling when it's wet, but with no greasiness. It works wonderfully for my curly hair since it seems to tame the frizz. It also smells very good. I am in love with this productos! OI shampoo , conditioner and all in one milk ! Best products ever for my hair!